Delta Air Lines today announced it would extend its Wi-Fi coverage to international flights, including those serving the UK. Delta Air Lines already has Wi-Fi services on all internal flights in the US – over 3,000 a day – which enables travellers to get online when the aeroplane is above 10,000 feet. Now Delta Air Lines will use high-bandwidth Ku-band capacity satellites to get an internet connection to its international fleet of over 150 aircraft, wherever they are flying in the world. 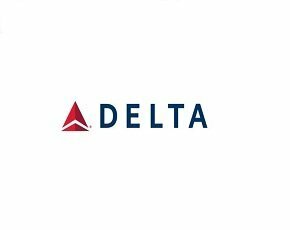 "Delta's advancements in technology have been a key component to our improvements in the customer travel experience," said Tim Mapes, senior vice-president of marketing at Delta Air Lines. "With our expansion of international Wi-Fi options across our fleet, Delta customers will be able to stay connected throughout their journey." Deployments of this scale need large financial backing and the cost has come from a $3bn pot Delta put aside to bring its international services, both on aeroplanes and airports, up-to-date during 2013. The international Wi-Fi rollout will begin in 2013 and Delta Air Lines aims to complete it by 2015, giving it a fleet of more than 1,000 Wi-Fi enabled aeroplanes.